I just e-mailed my review of the Ryuji Miyamoto show at Amador gallery. Unfortunately it may not be posted until next Wednesday but until then here is some additional information you won’t find in the review. The image above hangs in the show but it is placed at the very beginning just to your left as you enter the gallery. When I spotted it I thought it out of place; What does this have to do with the Kobe earthquake? 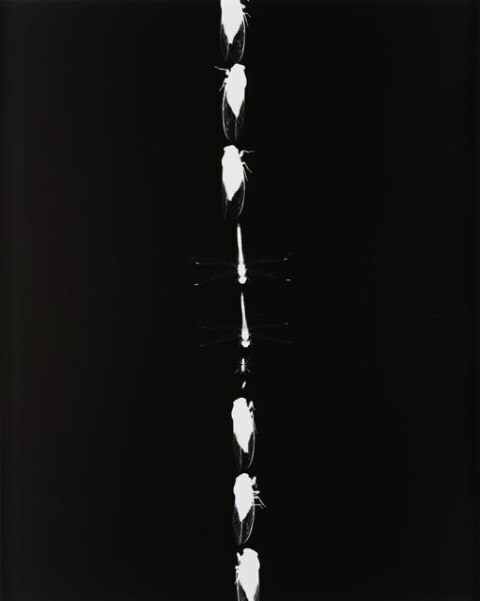 A group of his photograms appear at the end of the exhibition acting as a coda. The photographer revisited Kobe 15 years later and collected these insect (mainly) specimens. From the site of ruins renewal. 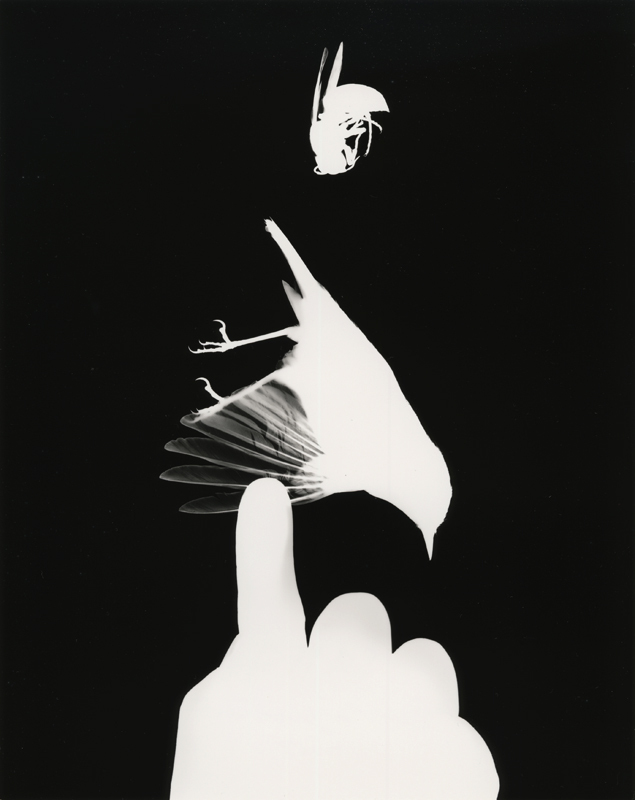 That is the message he was trying to get out with these photograms. The photogram at the beginning of the show started to make a little more sense. The hand represents nature or “God” giving life from nothingness. At least that’s what it seemed like to me after seeing the show and speaking with the artist. It acted as a preface to the show stating a theme of destruction and renewal. My admiration of Japanese photographers just grows and grows. I asked Miyamoto-san if he would sign the copy of the 2003 edition of his book, Architectural Apocalypse, that I had with me. Not only did he sign it but he then proceeded to take the dust-jacket off the book and spread it out on the wall. “Do you know, he said, that this cover is actually a picture of the sky?” “It is an 8 x 10 film of the blue sky printed on the cover”. Wow, I had no idea and neither did any of the other people within hearing distance. Mr. Amador was just as surprised as I was when I informed him of this little biblio tidbit. To Miyamoto-san: Domo arrigato gozaimas! (with a deep and respectful bow).